think you're ugly, then yeah, you have too much makeup on, because you aren't ugly and any amount of makeup you're wearing to make yourself "more beautiful" is too much. You'll never be able to feel truly beautiful and know you ARE truly beautiful when wearing makeup if you can't feel like/ know you are beautiful without it. If, like me, however, you just wear makeup because it's fun or it's a special occasion or you like wearing makeup or you just decide "why not?" then why does it matter how much makeup you wear, or what colour it is? 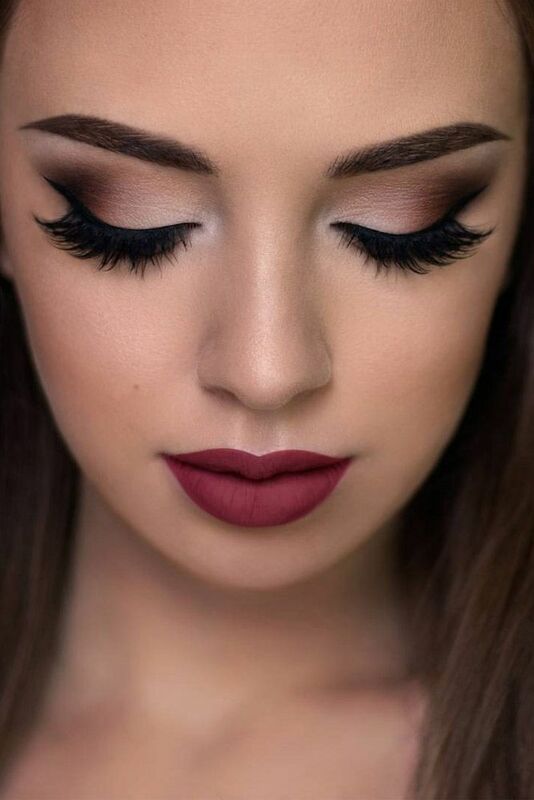 There are certain instances, of course, where you should wear makeup appropriately (if you're meeting the Queen of England you probably shouldn't wear lime green lipstick, just my opinion), but if you're just wearing makeup because you can, why shouldn't you be allowed to wear it however you prefer? Let's say you really like McDonald's cheeseburgers (even if you don't. Work with me here). In particular, you love both the "plain" cheeseburger and the "deluxe" cheeseburger. You think they taste equally delicious, and on the outside they're equally gorgeous and heavenly-looking. Really, the only difference between these two cheeseburgers is the amounts of toppings on them. They're both amazing in every way possible, but they have different toppings and the flavors are slightly different. I'm not insecure or even self-centered if I like the deluxe cheeseburger more. . . am I? Makeup is like these cheeseburgers. When you aren't wearing makeup, you're a deliciously heavenly and gorgeous "plain" cheeseburger (but by no means do I attempt to imply that you are actually plain without makeup on). When you are wearing makeup, you're the beautiful "deluxe" cheeseburger - not because one burger is actually better than the other. It only has a different name because it has different toppings. So what, exactly, is wrong with preferring a deluxe cheeseburger over a plain cheeseburger? Or maybe not even preferring it, just choosing to eat it that day? It's really just a matter of taste, right? I don't have to agree that a deluxe cheeseburger is better than a plain cheeseburger, or the other way around, but I shouldn't insult you because you have a different burger choice. I can think I'm right and you're wrong all I want, but I don't have to insult you and tell you you have too many toppings on your burger. 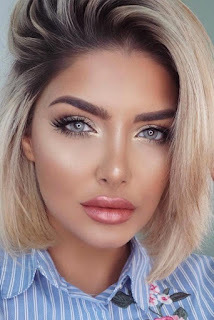 If you go walking down the street with makeup like this person to the left here, I'll do a double take, I'll think it's different than I'm used to seeing and maybe a little strange, and I'll be taken aback. I might even think it looks silly, but I'm not going to tell you you're ugly in it, because even in that I don't think she's ugly. She has an odd taste in makeup, sure, but I can still respect her choice. 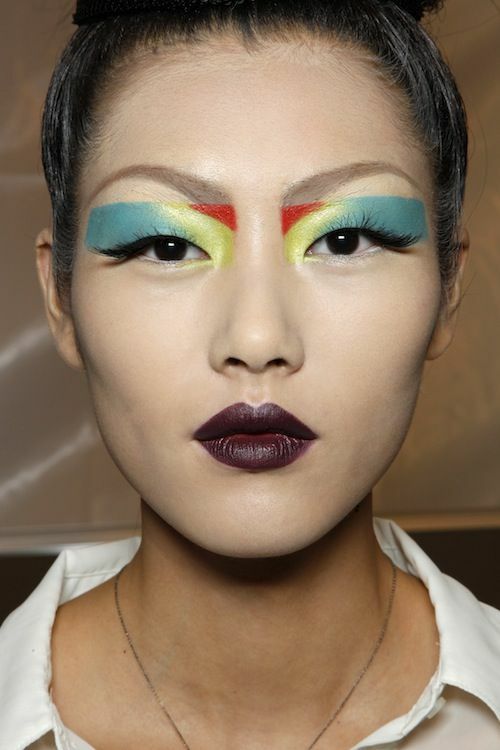 I mean, if anything I'd tell you that you've gotta be pretty bold and talented to do makeup like that - look at the odd/cool shape and the colors! So, girls, remember that you're beautiful when you look like a "plain" cheeseburger or a "deluxe" cheeseburger, and it's okay if you have a preference between the two, or you choose one over the other on a certain day. If someone insults you because of your makeup choice, that's their problem. If they're not "eating your burger," so to speak (wearing your makeup), then it shouldn't matter to them, and you look fine and beautiful just the way you are. What's your makeup preference? More natural? More dramatic? Colorful? Other? What do you think of the cheeseburger comparison? Tell me your thoughts in the comments below, or on my Facebook page, Julia Witmer, Author!